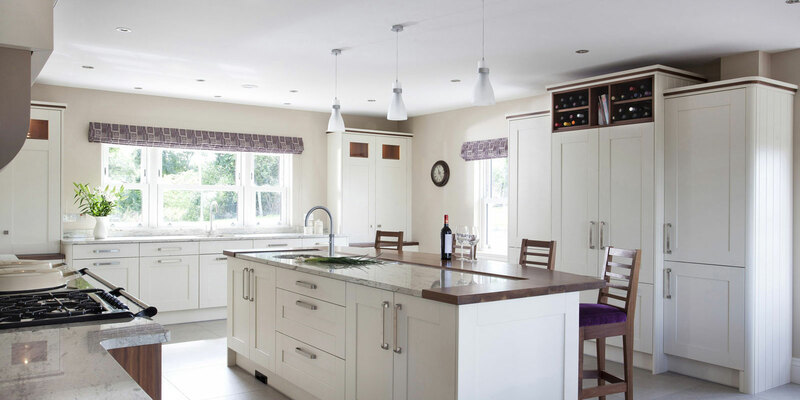 This bespoke hand crafted kitchen features an in-frame hand painted design and compliments this beautiful new build home in County Tyrone. 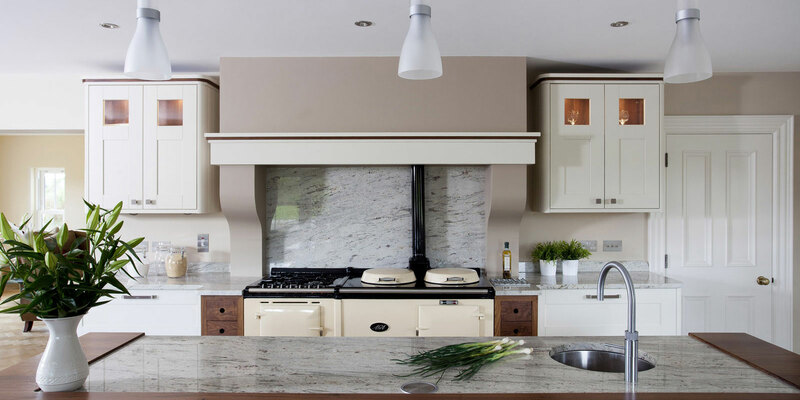 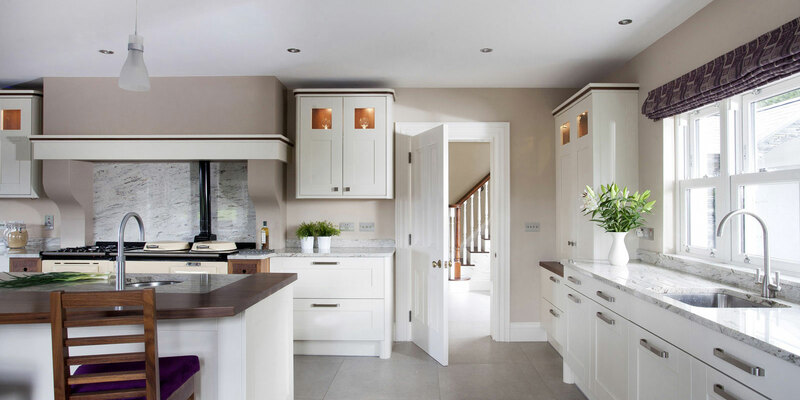 The clients had requested their kitchen to be designed around their Aga the main central heating in the home; the Aga will provide a constant source of heat and add warmth and depth to this traditional design. 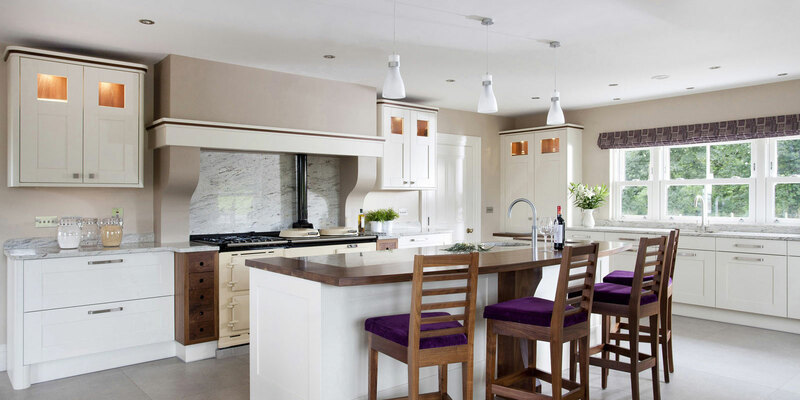 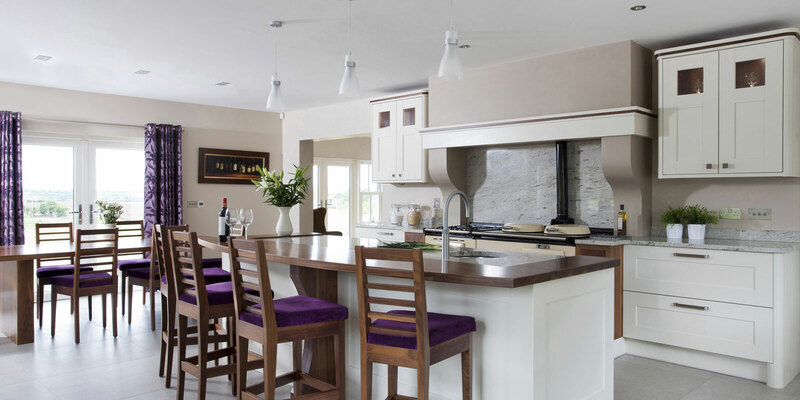 The magnificent island is central to the kitchen living dining space featuring some casual dining and seating with bar stools supplied by Parkes Interiors. 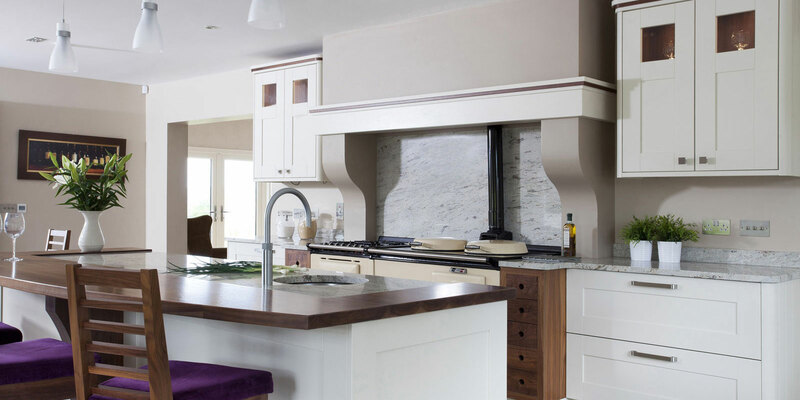 The impressive mantel over the aga keeps the integrity of this classic kitchen design and walnut spice drawers provide useful storage on either side, the wall units feature internal lighting and walnut edging. 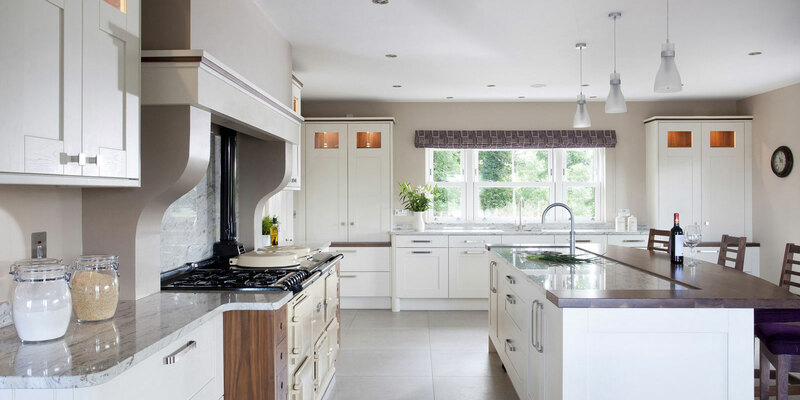 The worktops are river white granite and the walnut is continued in the breakfast bar and softens the overall look of the kitchen. 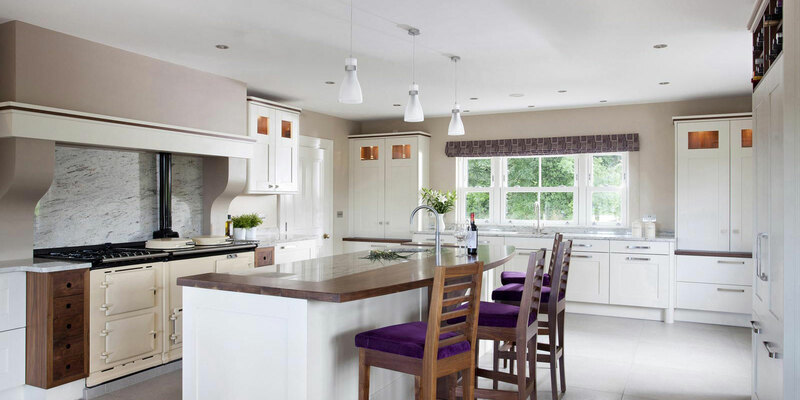 This open plan space features a beautiful window seat in the south facing part of the home and is a perfect spot to relax and unwind. 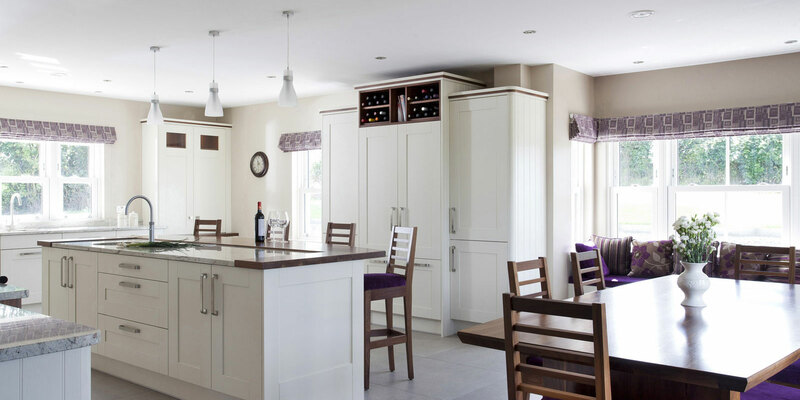 The colours and finishes are continued through to the dining area, the room has a natural flow and all the living spaces work together in harmony.